PNC Bank has said it will no longer finance coal companies that rely on mountaintop removal for more than 25% of their production. The bank in 2010 stopped financing companies that engage in the controversial practice for more than 50% of their production. But the new policy, which came out as part of the Pittsburgh, Pennsylvania-based bank’s corporate responsibility report (pdf) Monday, means that the largest US coal producers will no longer be able to get credit from the bank, experts say. 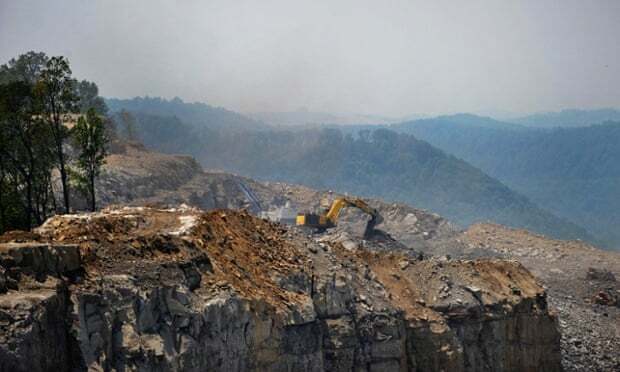 “Driven by environmental and health concerns, as well as our risk appetite, we introduced a mountaintop removal (MTR) financing policy in late 2010 and subsequently enhanced that policy in 2014,” the report says. 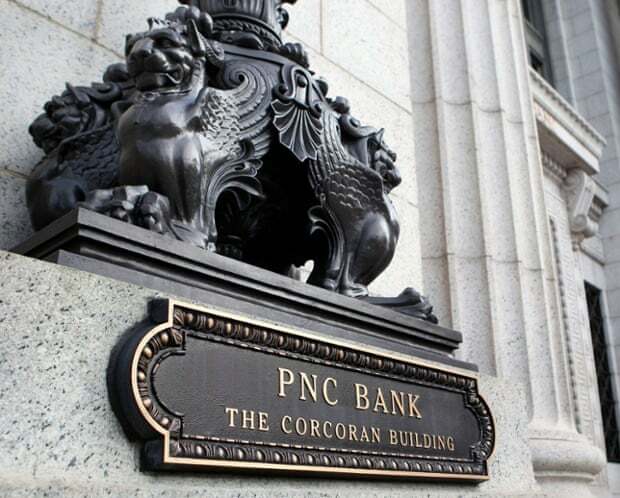 Under the new policy, deals with mountaintop removal companies will represent less than 0.25% of PNC’s total financing commitments, down from less than 0.5% last year, a company spokesperson said. 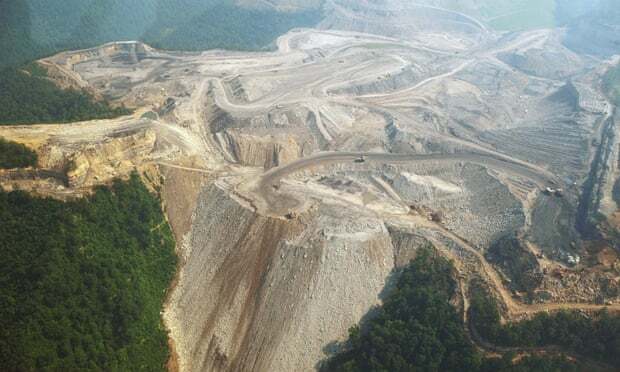 The move follows years of campaigning from environmental organizations that have pressured banks to move away from financing mountaintop removal mining. The controversial mining method is especially used in the Appalachian Mountains in the eastern United States. The technique – which involves removing mountaintops to expose coal seams and then disposing of that earth by filling in adjacent valleys – yields dust and waste that can pollute or cover up surrounding water, break up forests, slow tree and plant growth and create social, economic and heritage challenges, according to the Environmental Protection Agency. PNC is the latest in a line of banks to phase out mountaintop removal financing. At the end of 2014, JP Morgan, Wells Fargo, BNP Paribas, Goldman Sachs, RBS and UBS had all pledged to move away from financing such projects. But other banks have resisted: Morgan Stanley, Barclays, Bank of America and Deutsche Bank, among others, are still involved in financing mountaintop removal coal mining. The PNC news comes after five years of Pennsylvania protests over the bank’s involvement in mountaintop removal. “The bank has endured a huge amount of reputational pressure from a wide range of customers and movements on campuses,” said Amanda Starbuck, climate and energy program director at the Rainforest Action Network, one of several nonprofits that have long pressured banks to stop financing fossil fuel and coal companies. In 2011, Starbuck flew over a mountaintop removal site in Kentucky with a PNC Bank executive so the executive could see firsthand what the bank was financing. The nonprofit also has attending shareholder meetings and community meetings in the state, and has worked with banks to recommend policy changes, she said. Aside from activism, banks may also be moving away from mountaintop-removal financing because of the risks to their bottom lines. “Coal mining is becoming less and less profitable,” says Ingrid Lakey, a board member of the Earth Quaker Action Team, a group that has also campaigned in favor of a stricter PNC policy. In 2012, Patriot Coal filed for bankruptcy protection on the back of decreasing demand and low coal prices. Additionally, some mining companies have had to pay penalties for extensive environmental damage. Alpha Natural Resources, the second largest coal miner in the US, last year agreed to pay $27.5m in fines for toxic discharges from its mines. The company also had to set aside $200m for wastewater treatment. With this week’s announcement, PNC bank has slipped down the list of coal-financiers. Will banks at the top of the list follow suit?